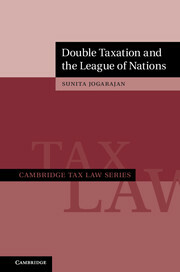 This two-volume set offers an in-depth analysis of the leading tax treaty disputes in the G20 and beyond within the first century of international tax law. 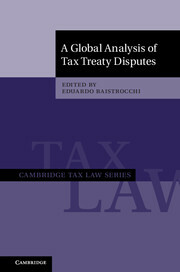 Including country-by-country and thematic analyses, the study is structured around a novel global taxonomy of tax treaty disputes and includes an unprecedented dataset with over 1500 leading tax treaty cases. By adopting a contextual approach the local expertise of the contributors allows for a thorough and transparent analysis. This set is an important reference tool for anyone implementing or studying international tax regulations and will facilitate the work of courts, tax administrations and practitioners around the world. It is designed to complement model conventions such as the OECD Model Tax Convention on Income and on Capital. 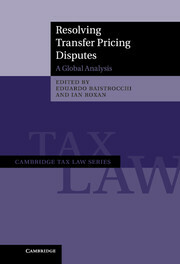 Together with Resolving Transfer Pricing Disputes (2012), it is a comprehensive addition to current debate on the international tax law regime. The evolution of the international tax regime until 2015 shows us that we are facing a critical moment in tax history. Not only developed countries are deciding the new rules of the tax game, but also emergent and developing countries. Countries that did not have voice within the designing process of tax rules in the pre-BEPS era, now have something to say. Consequently, understanding pre-BEPS international tax regime history is crucial. The book edited by Eduardo Baistrocchi is an enormous contribution for this purpose. 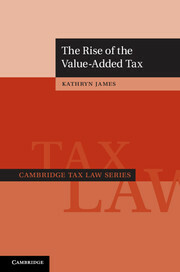 This book is a great contribution to tax law scholarship and legal scholarship more generally. 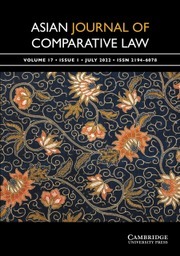 It offers unparalleled and unprecedented comparative information of various disputes that have arisen over the years in the field of tax by covering, remarkably, 27 different jurisdictions. Over 500 different tax law disputes have been highlighted and publicised, shedding light on a wide range of practical issues. It has explored, through qualitative and quantitative analysis, the change in trend of the general international tax regime and embarks on a critical analysis of the status of the international tax law regime today. This book is most definitely recommended as it carries up-to-date, comprehensive information based on data, provided by various jurisdictions, written in clear and comprehensible language. 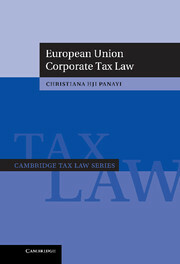 Crucially, it provides in depth insight into the practical workings of tax laws and tax administrations in various countries and can undoubtedly form a framework for harmonisation between tax law regimes and jurisdictions around the world a clear must-have for students, practitioners and policy makers alike. 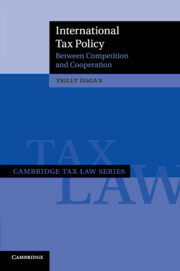 A must-read for any tax professional or transaction specialist, this new book offers an unprecedented analysis of tax treaty disputes across the globe. It analyses and contextualises recent developments in the international tax regime – thus explaining wider economic trends. Its strong focus on BRICS and developing countries sheds light onto the growing involvement of these states in the international tax world – something which would otherwise not have a prominent place in works on international taxation. The concluding chapters are testament to the author’s unrivalled expertise, genuine enthusiasm and strive for innovation. The global taxonomy summarises more than 500 tax cases in a clear yet detailed graph and the book is very well structured and easy to read. 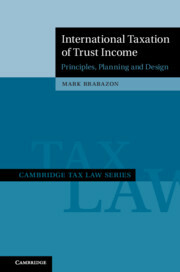 I was set reading from the essential chapters of this Treatise on a course in Tax Law at University and found its approach to international tax and tax disputes novel, exciting and authoritiative. My approach now as a tax disputes practitioner has been coloured by the global taxonomy of tax treaty disputes presented. 17. Tax treaty disputes: a global quantitative analysis Eduardo Baistrocchi and Martin Hearson. Eduardo Baistrocchi is Associate Professor of Law at the London School of Economics and Political Science (LSE). He studied law at the Universidad de Buenos Aires before obtaining an L.L.M. at Harvard Law School and later an L.L.M. on Tax Law at LSE. He has been a Fulbright Scholar and a Chevening Scholar. He has also been a Distinguished Visiting Professor in Brazil (FGV Direito Sao Paulo), Canada (University of Toronto) and the United States (Northwestern University). 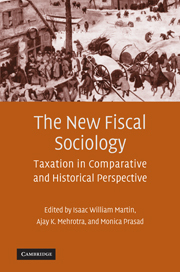 His research and publications are focused on international taxation, with a particular emphasis on tax treaty disputes in the G20. He applies interdisciplinary approaches, such as game theory and public choice, to investigate how the international tax regime operates. He has published in leading journals and publishing houses such as the British Tax Review, the Global Tax Treaty Commentaries, the Modern Law Review, the Oxford Journal of Legal Studies (OJLS) and Cambridge University Press.